In this video, architectural historian and award-winning author Larry Millett and photographer Matt Schmitt walk us through the Lawrence S. Donaldson house in Minneapolis, one of the twenty-two homes profiled in their new book, Minnesota’s Own: Preserving Our Grand Homes. The home was the recipient of a 2014 Minnesota Preservation Award. Join us for the book launch celebration at the American Swedish Institute next Wednesday, November 5, at 6:30 pm. The event is free and open to the public, but reservations are recommended. Also of interest: Historic Preservation Tour at the American Swedish Institute with architect Laura Faucher. This special tour begins at 5:00 pm, before the Minnesota’s Own book launch. The tour is $10 for ASI and MNHS members/$12 for nonmembers. Registration is required and space is limited. Food, tradition, and culture make a home. Inspired by the book Asian Flavors: Changing the Tastes of Minnesota since 1875 by Phyllis Louise Harris with Raghavan Iyer, a new thirty minute documentary co-produced by the Minnesota Historical Society Press and Twin Cities Public Television’s Minnesota Productions & Partnerships (tpt MN) celebrates Asian immigrants who have left an indelible and flavorful mark on Minnesota’s culinary, cultural, and economic history. It’s hard to believe there was a time when you couldn’t go out for Chinese food in Minnesota, but there was—until brothers and entrepreneurs Woo Yee Sing and Woo Du Sing opened their Canton restaurant (later called “John’s Place”) in Minneapolis in 1883. Culinary educator, chef, author, consultant and co-founder with Phyllis Louise Harris of the Asian Culinary Arts Institutes, Ltd., Raghavan Iyer narrates this documentary highlighting the exciting history and array of Asian food in Minnesota. Profiles and interviews with chefs, restaurant owners, business owners, and culinary professionals include Supenn Harrison, founder of Sawatdee; Reiko Weston of Fuji Ya; Mhonpaj Lee and her mother May Yia Lee, operators of Mhonpaj’s Garden; Ann Kim of Pizzeria Lola; Thom Pham; and Harry Singh. Food connects homes left behind with where we live today. 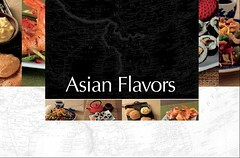 Asian Flavors is the story of adventurous people who made the arduous journey halfway around the world to live in Minnesota, fleeing oppression and persecution or in search of jobs and education, and who created new homes through food. Many cooks sought not only to make a living but also to preserve the memory of their homeland through the dishes set before family and patrons alike, to the great benefit of diners in the Twin Cities metro area. Asian flavors have changed Minnesota’s tastes, just as the many, wide-ranging Asian cultural groups have reshaped the state’s history, culture, and communities. TPT’s Minnesota Productions & Partnerships (tpt MN) is the local production division of Twin Cities Public Television (tpt), the PBS affiliate for Minneapolis/St. Paul. TPT MN partners with local non-profit, educational, governmental, and public service organizations to reach broader audiences throughout Minnesota. These partnership programs educate and inspire Minnesotans on important issues using tpt’s distinctive storytelling skills, television and multimedia resources. Since its inception in 2003, tpt MN has created nearly 700 television programs and over 200 multimedia projects in partnership with over 235 non-profit and public service organizations. 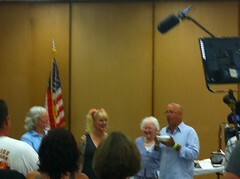 To view past tpt productions, visit www.mnvideovault.org. To learn more about tpt MN, connect with them on Twitter and Facebook, or visit their website at www.tptMN.org. 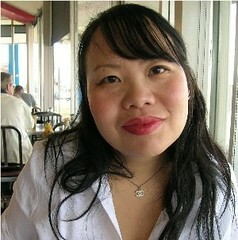 Ka Vang is a poet, spoken word artist, playwright, and community activist. We are pleased to release her provocative essay The Good Hmong Girl Eats Raw Laab, available as an e-book short for just 99 cents. 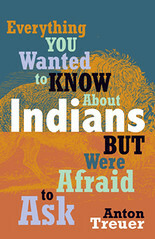 The e-short is one of our new MHS Express titles. Ka has been busy! She was recently featured on MNOriginal, Twin Cities Public Television’s award-winning weekly arts series celebrating Minnesota’s creative community, and her new book, Shoua and the Northern Lights Dragon, produced with the Minnesota Humanities Council and the Council on Asian Pacific Minnesotans, is now available. “DIY Death Rituals,” “Sing Like a Voyageur,” “Field Dress a Deer,” “Crop Art 101,” “Detasseling Corn: The Hows and Whys,” and “Tasteful Taxidermy” are just a few of the chapter titles in The Minnesota Books of Skills: Your Guide to Smoking Whitefish, Sauna Etiquette, Tick Extraction, and More by Chris Niskanen. 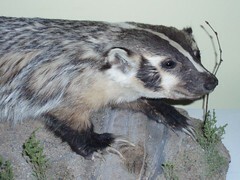 I was driving home from Best Buy in Woodbury when I saw a badger lying on the shoulder of a two-lane highway. It appeared to be perfectly intact after getting hit by a car. It was August. Another SUV had stopped in front of me, and a woman with several older children were inside. About the time I pulled over to investigate, a teenage boy jumped out of the SUV, and soon the two of us were standing over the dead badger. He couldn’t believe what he was looking at. I was surprised, too, to find a badger in Woodbury. We discussed the matter with his mother, and while she was intrigued by the idea of bringing it home (they had stopped first, so had dibs), she understood that on such a warm day she needed to get it either in a freezer quickly or to the taxidermist. I volunteered to take it because I knew a taxidermist who could do the job immediately. When I brought it home, my five-year-old daughter was fascinated by the story and the face of this young badger, struck down in the prime of its life. The taxidermist did a marvelous job, and later that winter (taxidermy takes a while to complete) the entire family went to pick it up. My daughter was now in love with the adorable young male badger mounted tastefully on a board, looking like he was peering through grass. She insisted on putting it in her room, and ever since, Francis (named after the children’s book character, also a badger) has been adorned in pearls, earrings, and doll clothes. Up close, Francis is an amazing animal, with his flat head, powerful shoulders, and long, sharp claws, but he doesn’t appear menacing. He’s been a great way to talk about wildlife and science with our kids, plus he’s a swell conversation piece. My wife, bless her heart, has always embraced the idea of having Francis in the house, which is key if you ever plan to do something like this (warning to any spouses who see roadkill and fancy having it mounted for display in the home). The other lesson learned here is that taxidermy isn’t what is used to be. Francis is like a museum piece, and because we enjoy nature so much and have designed our home around the nature that surrounds us, he fits pretty well into our decor. For a glimpse at more of the Niskanen taxidermy decor, watch Fox 9’s M.A. Rosko as she sharpens her Minnesota skills with Chris in his home. Chris will be on KARE 11 Sunrise tomorrow (11/28/12) around 6 a.m., and listen for him on Minnesota Public Radio soon too. (We’ll update links here.) Please click on the book title link, above, for upcoming signings with Chris.